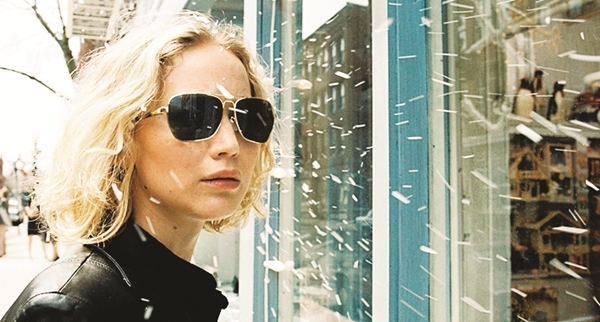 Jennifer Lawrence teaming up with director David O Russell inevitably spells success. Their first two collaborations got Jennifer a clutch of awards ai??i?? an Best Actress Oscar for Silver Linings Playbook (2012), apart from three Golden Globes, and another Globe for Best Supporting Actress, for American Hustle (2013). In Joy (2015), Jennifer plays Joy Mangano, the self-made millionaire and inventor of products such as the Miracle Mop. She picked up another Best Actress nomination for the film, but lost out to Brie Larson, for her heart-wrenching portrayal of another Joy ai??i?? Joy ai???Maai??? Newsome, whose story of being held captive for seven years and giving birth to a child therein, forms the basis of the critically-acclaimed drama, Room. The story of Mangano is one of a divorced mother of two, who overcomes a string of personal hurdles to find limitless professional success. In a chat, Lawrence speaks about her working relationship with David, and the emotional tribulations faced by her character. We both love and respect each other. Our shorthand has got to the point where we donai??i? ?t have to talk. He can call cut and go (gagging gesture), and Iai??i? ?m like, ai?? ?Yeah, mm-hm.ai??? Itai??i? ?s an honour to be a part of his amazing legacy. Heai??i? ?s brilliant. Can you describe the process of working with him? Itai??i? ?s all about honesty and the performance. Itai??i? ?s exciting. It never dies, you knowai??i?? itai??i? ?s different every time, and heai??i? ?s constantly coming up with new ideas. What does the film have to say about womenai??i? ?s empowerment? I think his heart was in a beautiful place, where heai??i? ?s celebrating the unsung heroes of every household ai??i?? women who forfeit their dreams for their families. Then thereai??i? ?s the love she has for herself, and a desire. She has her own dreams. What drives her to succeed? Herself. There are a lot of obstacles she has to overcome, and nobody believes in her at the beginning. The only person who believes in her is herself, and thatai??i? ?s all she needs. She has her vision, she has her dream, she has her vigilance, and she keeps pushing forward. Then what stands in the way of her success? Different things. Her family supports her, but also hurts her at the same time. Nobody could see her vision ai??i?? she kept getting shut down again and again. But we kept saying it while we were filming ai??i?? anything worth doing, youai??i? ?re going to die nine times during the endeavour. Can you discuss the treachery and betrayal your character faces? sudden want something of you. The more successful you are and the more proud people become, it also ai??i?? in their mind ai??i?? becomes a lot easier (for them) to take more. Joy premieres on Star Movies on February 18, 6.30 pm. Watch the Oscars on the Star network on February 27, 5.30 am.